Please note family memberships extend to members who live in the same house as the primary member. SLSRC memberships run from the calendar year Jan 1st to Dec 31st. 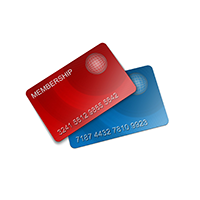 If you are paying for a membership between Oct 1 and Dec 31st, your membership dues will count for the next year. For members paying by check, please see below for the paper membership form. If choosing a family membership, please put additional family members, call signs, license class and email in the order notes on the checkout page. Your yearly membership allows the club to maintain the repeaters, website and social media accounts, host Field Day, record the monthly presentations and other membership perks throughout the year. If paying by check, please fill out this form and send your payment to the address on the membership form.